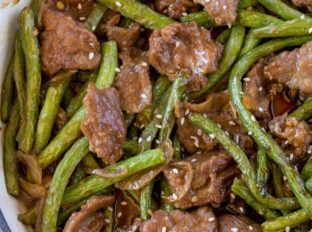 Beef and Green Bean Stir Fry made with an easy garlicky stir fry sauce, lean beef and green beans. Stir Fries are a weekly occurrence in our household. 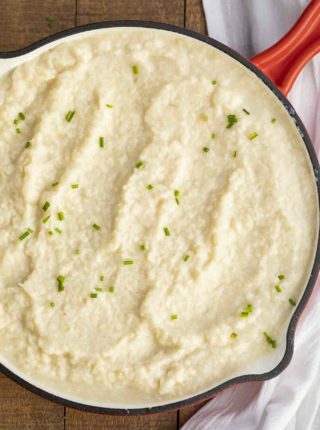 I used just about any vegetable that I have in the fridge or that looks amazing in the store. In this case the green beans looked amazing at the store. Super fresh, not dinged up. And they were on sale! I love making stir fries, they’re fresh and easy and can be made in just minutes. In the case of this stir fry we really have a pantry recipe. 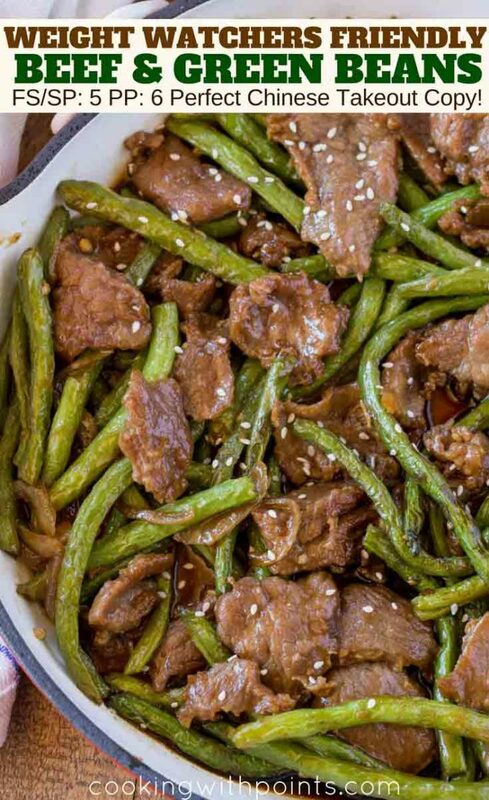 Aside from the beef and green beans you can go to the cupboard for most of the rest of the recipe. 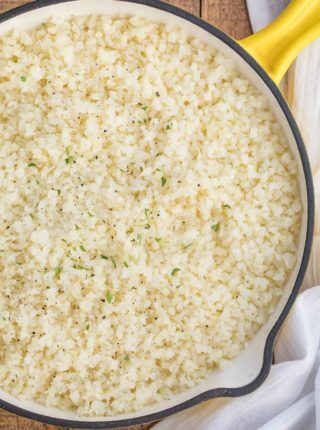 In fact if you find yourself out of garlic or ginger you can use powdered in a pinch (try to use fresh if possible, the flavors are much bolder and fresher). What is a good substitute for Mirin? If you don’t have or can’t find mirin use white wine and increase the sugar by an additional teaspoon. One of the most important notes I can give you about stir fries is to make absolutely sure all your ingredients are ready to go before you heat up the pan. Stir fries can go from delicious and done perfectly to sad and overcooked in a hurry. In addition to that when making beef stir fries (especially with a lean cut of beef as we are using) I highly recommend slicing the beef very thinly and against the grain. What does cutting against the grain mean? Cutting against the grain is something I discuss a lot in cooking meats that are sliced thinly (especially lean meats like flank steak or chicken breast). Thing of meat (which is essentially muscle tissue) as a bunch of fibers that are tied together. Basically if you had a bunch of green beans banded together. Instead of chewing on a long piece of a green bean you would slice thin sheets of many green beans. Then when chewing you can see how much easier it is to chew through these smaller pieces instead of one long piece. 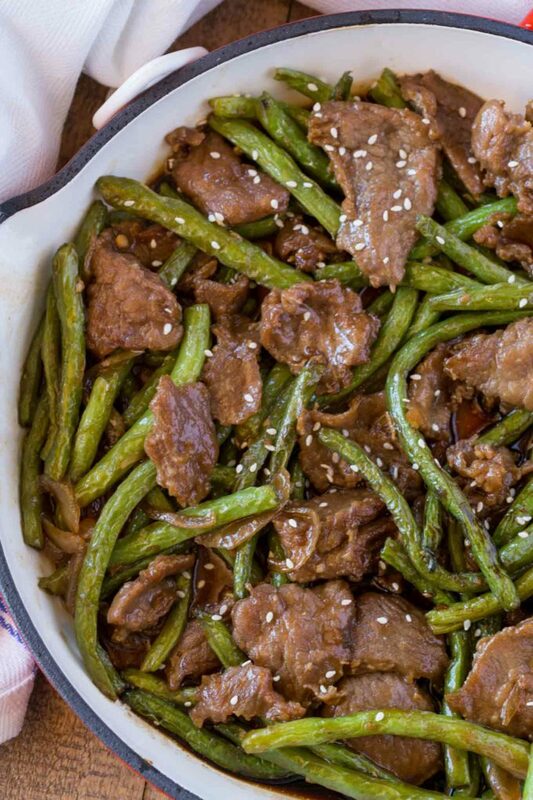 Looking for more Chinese Takeout Favorites? Lite Soy Sauce: This is the only variety I use, I NEVER use regular sodium. Mirin: This is a sweeter version of a white wine used in a lot of Chinese and Japanese recipes. In a small bowl or measuring cup mix the soy sauce, mirin, cornstarch and sugar. Add the canola oil to your skillet on medium high heat. Cook the beef in batches in the skillet for 1-2 minutes on each side before removing from the pan. Add in the green beans and cook for 2-3 minutes, stirring occasionally. Add the garlic and ginger and cook for 30 seconds while stirring. 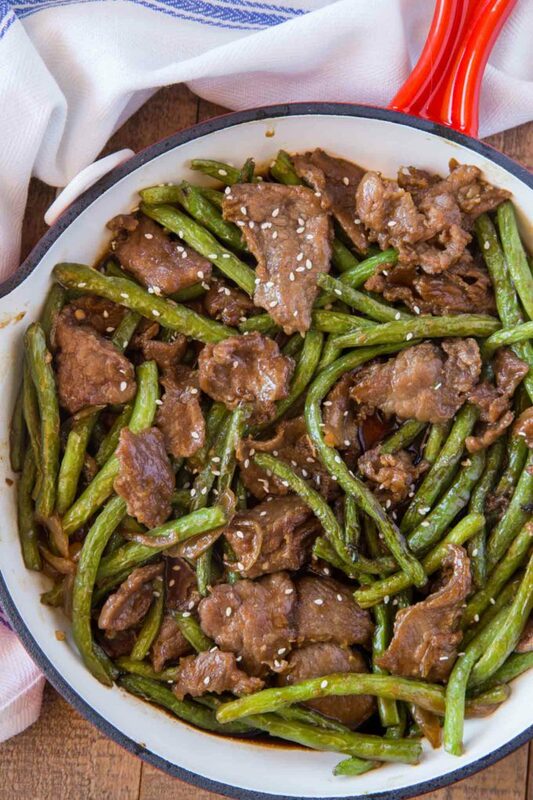 Add the stir fry sauce into the skillet and cook for 30 seconds, then add the beef back in and toss to coat. 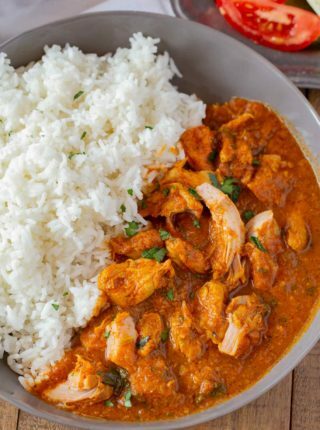 This is the perfect family meal! Everyone loved it !!! 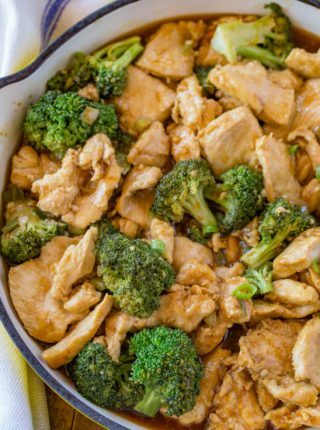 I love a good stir fry recipe! Always a hit at my house! Looks so good! I love stir fry recipes! Stir fry is always a hit at my house! I need to try this one out! This looks so delicious! Can’t wait to to add this one to our menu soon! We are a household of stir-fry lovers, too! This looks like on to add to the rotation, soon! This look so amazing! If I don’t cook with alcohol, should I leave it out all together or is there another substitution? Thanks! You can leave out the mirin, but the dish won’t be as sweet. The company that uses “points” has reached out to me claiming points are proprietary and demanded that I stop sharing them with my recipes. You’re going to have to calculate it on your own with a recipe calculator.